In 2014, Models Own received investment from a Saudi retail empire and has since expanded its core offering to include lip and eye products, as well as associated accessories. Models Own opened its first global flagship store in Westfield Shopping Centre in Stratford, East London in late 2016, closely followed by a second store in Trinity Leeds, and is currently Europe’s fastest growing cosmetics brand. Models Own began researching digital signage providers and finally selected Digital Messaging Company, DMC, (a leading supplier of turnkey digital signage systems) to design and install a purpose-built digital signage system that included two high impact videowalls to meet their instore artistic and promotional requirements. DMC in turn selected Signagelive as the preferred technology provider because of its cloud based capabilities, its technical expertise and video synchronisation capabilities on high-power videowalls. The LG displays are controlled by IAdea media players preloaded with Signagelive’s cloud-based software to ensure that all displayed content synchronises seamlessly across the two videowalls. Not only does the content look spectacular, it can be easily updated or modified at the click of a button by DMC without any involvement from instore staff. Signagelive’s cloud based digital signage network platform has provided DMC with a centralised facility to run and manage 4 x panoramic video walls as well as a series of window displays on behalf of Models Own. New content can be deployed onto just one display or across all deployed displays in the stores at the click of the button. Signagelive ensures that all uploaded content is rendered and synchronised correctly to display across the videowalls as a seamless image, to create a wow factor visual experience. 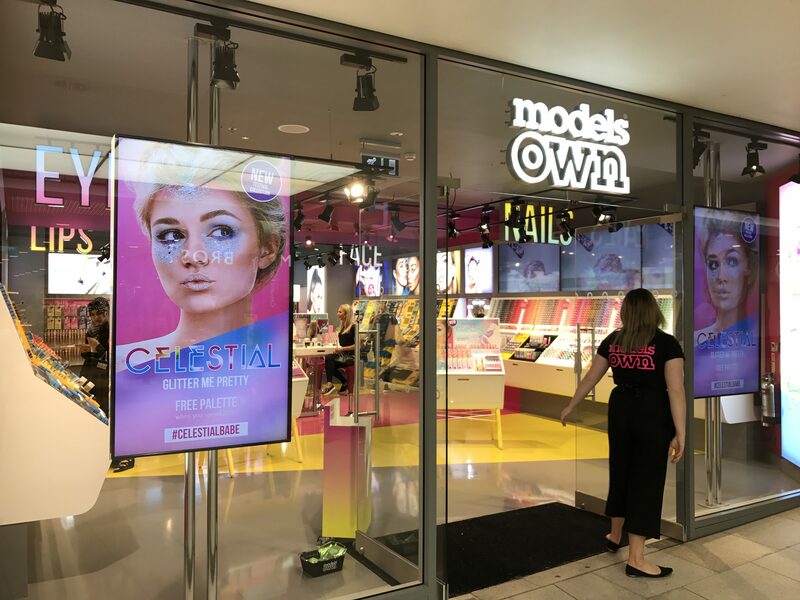 Models Own launched its flagship store in late 2016, followed by Leeds in early 2017, and over the forthcoming months, DMC is expecting to roll out video walls across further new stores in the UK.